Veterinarian visits every 2 months for consultation and general health check of cats and kittens. Otherwise, he is on call. All kittens are vaccinated and desexed before they are sold. Groomed daily, hand fed until independent, playtime morning and night. No, the internet covers as education. When the kitten is being purchased, I spend half an hour with the buyer to go through the important details. No, The buyer has usually waited over 3 and up to 9 months to receive this kitten. The whole family has been dying to get the kitten and has learned whatever they can do on the internet on how to care and feed the kitten. Warrenty up to 16 weeks of age. 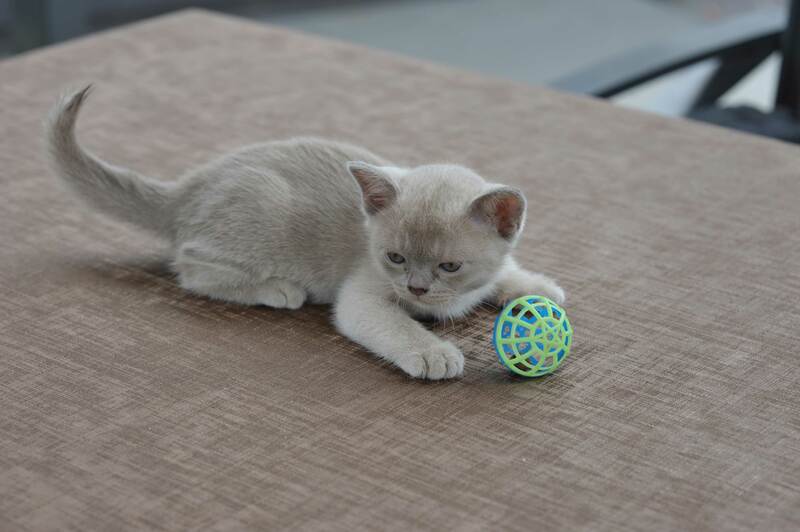 At Warbo Cattery we breed beautiful Burmese kittens true to the breed standard. Burmese are born with attitude and grow up to be the most wonderful family pets. As adults, Burmese are confident, intelligent, friendly, outgoing and love to be around people. They can also be laid back and very devoted to their owner. I know that you will be making the right choice when you add one of the happiest and sensual felines to your home. I have been breeding for 40 yrs and I have never had one returned yet! Burmese come in 10 colours. I usually have all of the colours throughout the year. 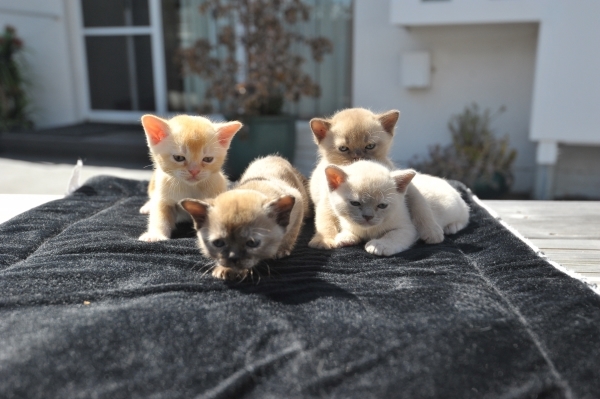 The expected colours for the July kittens are Cream, Blue, Chocolate and the same colours can be torties as well. I am now taking kitten bookings for 2019. Please email me and I will explain how this works. Some of the kittens have already been booked for the July litters. There are also some runs available for boarders to use throughout the year especially catering for long term boarding and relocating. 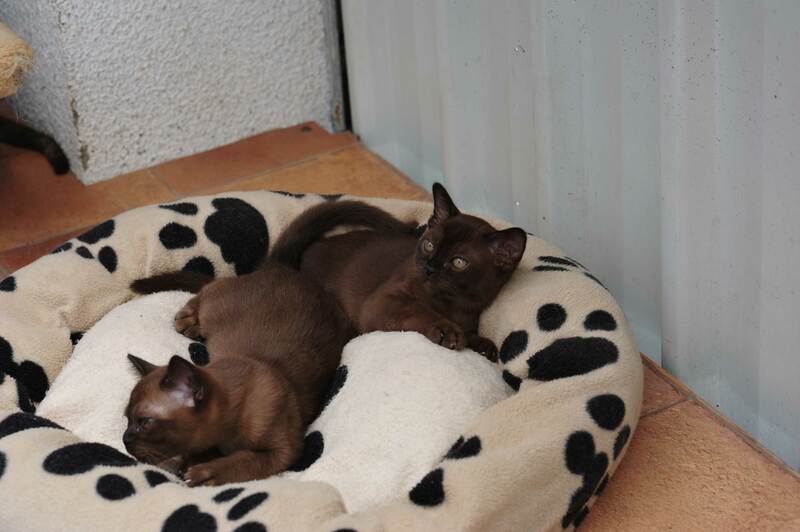 I have been breeding Burmese for 40 years and I am a registered breeder. conjunction with my ACT Breeders License.